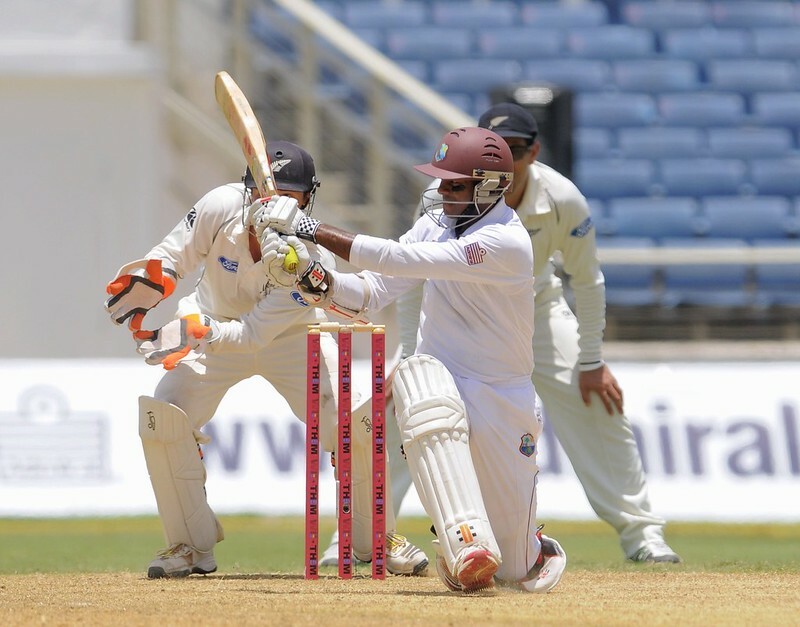 Trinidad and Tobago’s wicketkeeper/batsman Denesh Ramdin will lead the Caribbean side out after he was appointed captain – taking the place of all-rounder Darren Sammy, who retired from Test cricket earlier this year. This will also be a special game for the hard hitting opening batsman Chris Gayle, who is well set to play in his 100th Test. “It is a special moment for myself, Chris Gayle and the West Indian people,” Ramdin said ahead of the game on Saturday. It seems also that Ramdin has made up his mind about what he wants to do first. “Whichever captain wins the toss will bat,” the new skipper said. “It looks like a good one. Putting runs on the board first will be good for our batting unit. New Zealand got the better of the West Indies, 2-0, when these two teams last met in a three match series in November and tourists will be hoping to do the same thing away from home this time out. WEST INDIES – Denesh Ramdin (captain), Sulieman Benn, Kraigg Brathwaite, Darren Bravo, Shiv Chanderpaul, Kirk Edwards, Shannon Gabriel, Chris Gayle, Kieran Powell, Kemar Roach, Marlon Samuels, Shane Shillingford, Jerome Taylor, Jason Holder. NEW ZEALAND – Brendon McCullum, Corey Anderson, Trent Boult, Mark Craig, Peter Fulton, Tom Latham, James Neesham, Luke Ronchi, Hamish Rutherford, Ish Sodhi, Tim Southee, Ross Taylor, Neil Wagner, BJ Watling and Kane Williamson.